When you open in pdfToolbox 8.1 PDF files that are structured on tags (PDF/UA files), the user is able to receive a comprehensive overview of the structure of the elements with just one click. 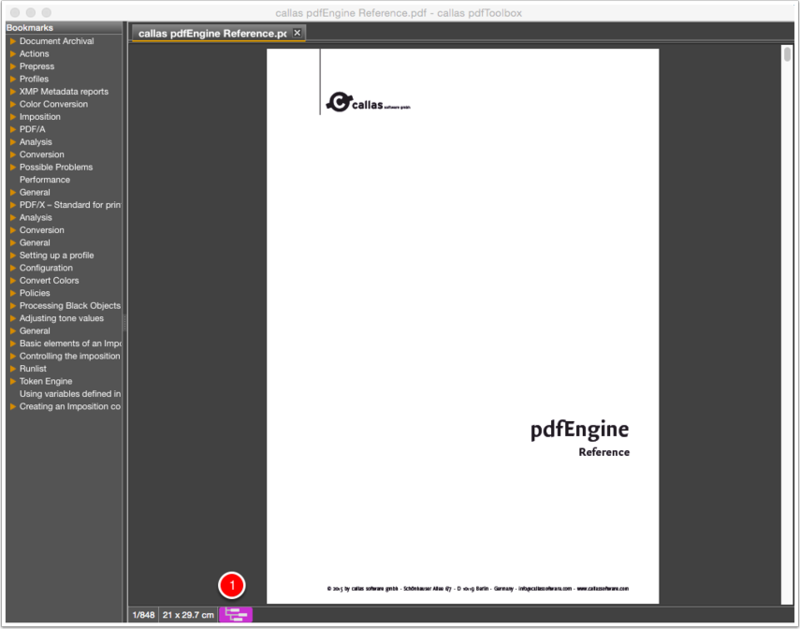 pdfToolbox shows immediately when a PDF file has labels indicated by a purple "tree" icon in the left corner. Click on the purple "tree" icon. A comprehensive structural overview opens in the operating system default browser. 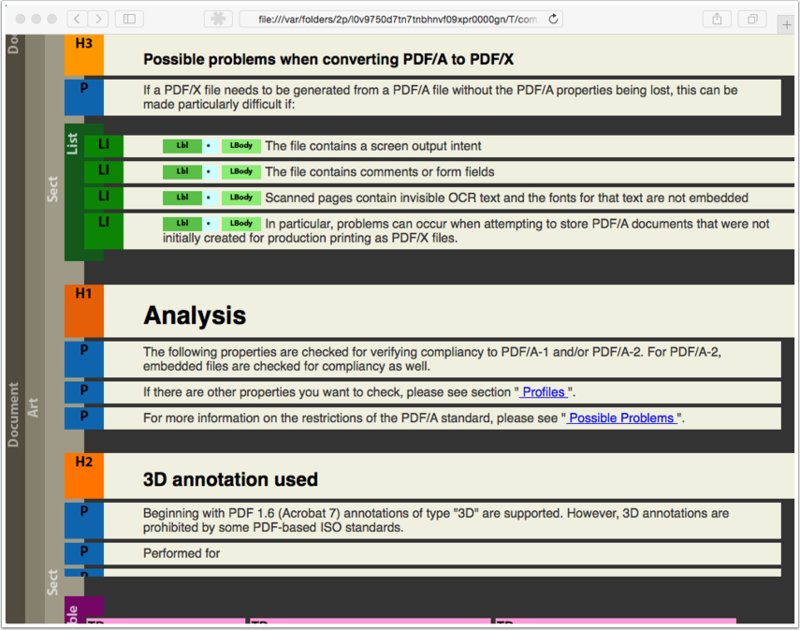 From each PDF file the user receives a detailed overview of the PDF structure. 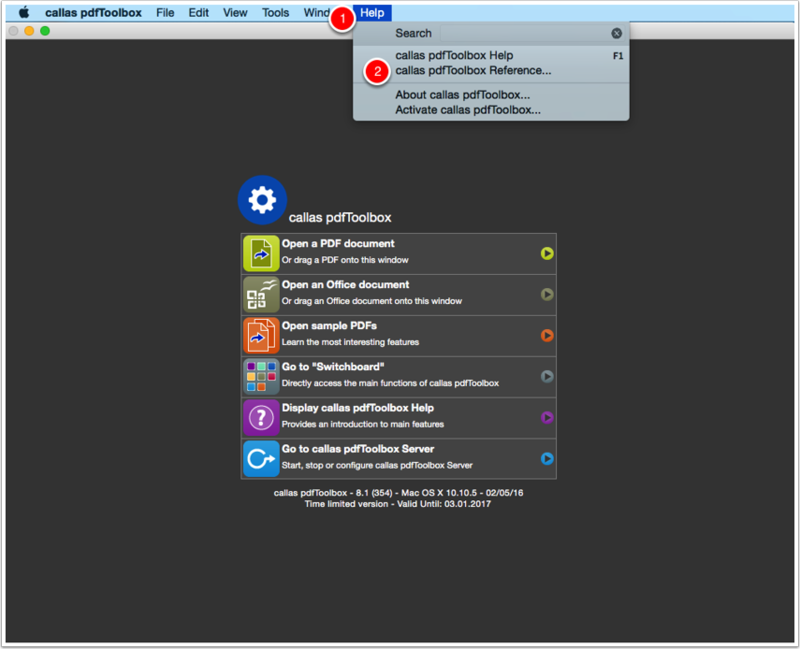 In the overview you have areas like "Document", "Article" and "Section". In the Section you have categories indicated by color codes such as Heading 1, 2, ..., paragraph lists and tables.